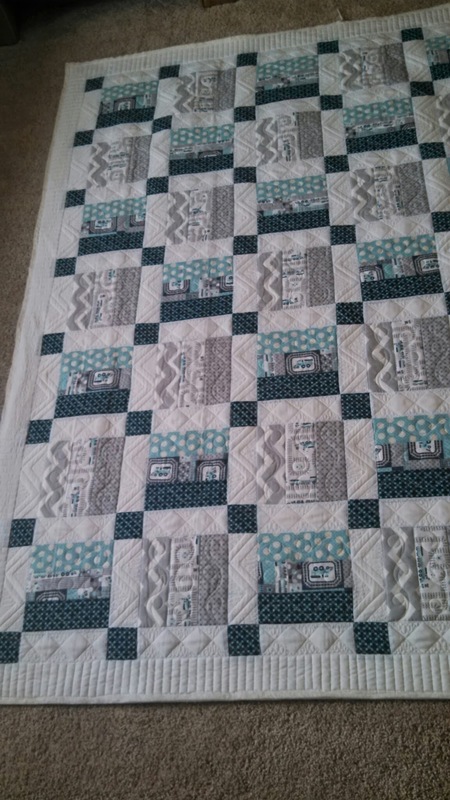 I loved doing this baby quilt. 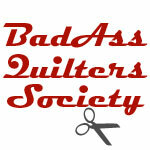 In fact, I love doing all baby quilts as they usually give me a chance to really play. My goal is to add a lot of texture to complement the quilt top. I think this one turned out nicely. The piecer is the same lady who pieced the pinwheel quilt and I’m inspired by her use of simple blocks. Quilting it with an eye to texture resulted in a timeless quilt that will never go out of style, regardless of the fabrics used. Just two pics – I can’t believe I didn’t take more! 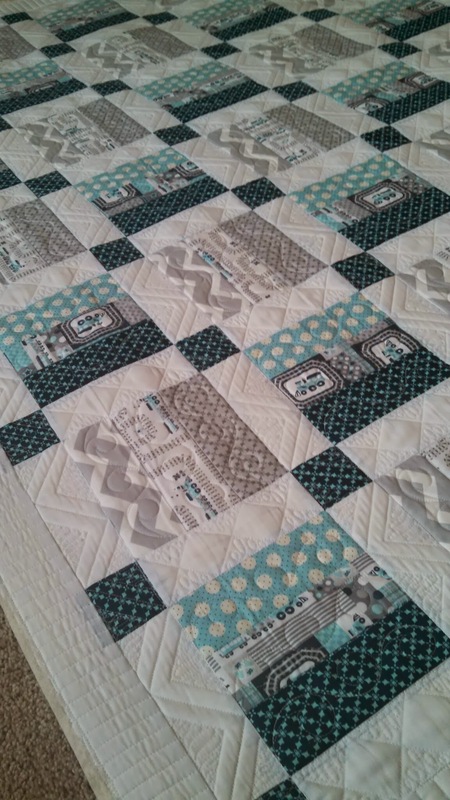 The backing fabric was a zigzag flannel and the quilting didn’t show up well on that busy print.